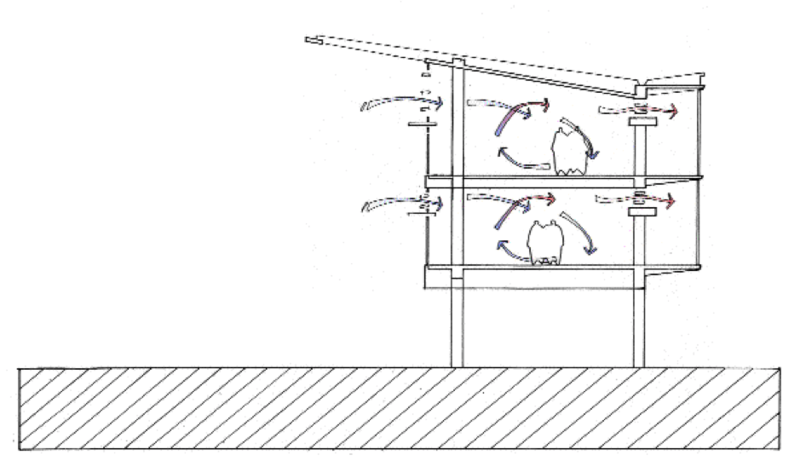 Natural ventilation for buildings is complex in that measures are required to counter high wind pressures and suction forces. Processes involving buoyancy and pressure govern the type and rate of natural ventilation. These processes affect temperature, speed and density of air. 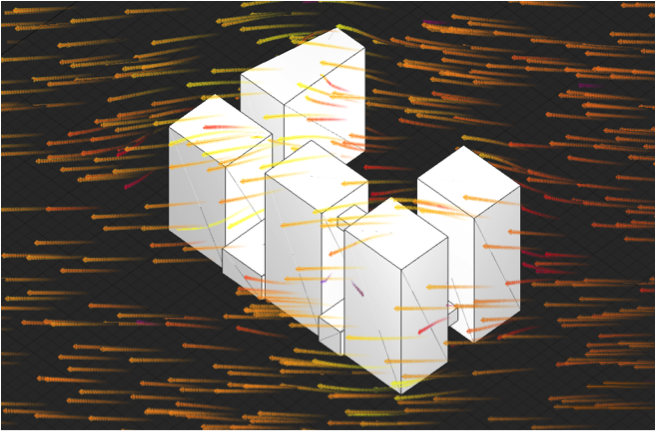 These processes are dependent on naturally occurring climatic phenomena; this makes the process of predicting (and therefore relying upon) natural ventilation necessarily approximate. To understand ventilation as a physical phenomenon one needs to understand the underlying principles of mass flow and related volume flow mechanisms. Using these principles various prediction models in the form of empirical formulas have been developed. These formulas have been derived by integrating natural phenomena of air speed, temperature and pressure with the ideal gas laws which govern mass flow and volume flow of gas. Design manuals like ASHRAE and CIBSE derive their prescribed methods for air flow through these prediction methods. The reliability of the prescribed methods varies due to difficulty in estimating boundary conditions. Further, certain effects, particularly those connected with turbulence, cannot be easily treated mathematically. Due to these facts extensive experimentation has been relied on to improve approximations for predicting ventilation rates. The complex boundary conditions and the mathematically complex physical principles of fluid dynamics make ventilation difficult to understand theoretically. B and S Analytics has the tools and experience to investigate the principles governing ventilation and their employment to help predict the effectiveness of natural ventilation.